Jones is 22, too young for Prince’s heyday, but he grew up about half an hour from Minneapolis — Prince’s hometown — and understands the musical superstar’s connection to the region and its basketball teams. Prince and other local music legends, including Jimmy Jam, Prince’s longtime friend and occasional touring partner, often sat courtside during the early years of the Timberwolves and the high points of the Kevin Garnett era. As the franchise receded into lottery contention, Prince the fan receded into the background. He rarely attended games. When he did, he preferred to do so in such a private fashion, most fans would not even know he was there, says Ted Johnson, the team’s chief strategy officer. When Prince’s camp sent word he might attend a game, several staffers would drop everything to plan for his appearance. There were many false alarms. 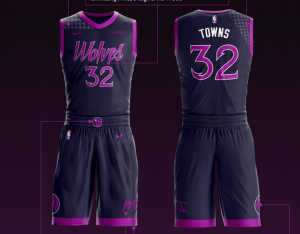 I was in Minneapolis on Nov. 12, 2015, when Prince’s people alerted the Wolves he might come that night to their game against the Warriors. A thrilled panic ensued. Staffers arranged private entrance and exit pathways for Prince, and a method of whisking him into a suite without attracting attention. He didn’t show. But Prince was always watching Minnesota hoops. He played basketball in junior high and high school, and in pickup games both on tour and at his home in Paisley Park — as memorialized in perhaps the most famous “Chappelle’s Show” skit ever. When the WNBA’s Minnesota Lynx won the 2015 championship, Prince invited the team to Paisley Park for a private three-hour concert.